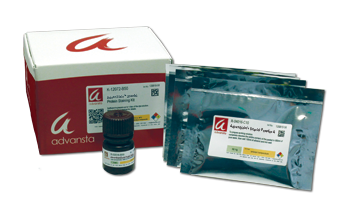 Total Protein Normalization for Western Blots - Advansta Inc.
Normalizing your Western blot is critical to obtaining accurate quantitative measurements. But it can be tricky. Perhaps you are discovering that housekeeping genes are not as neat and tidy as you would like? 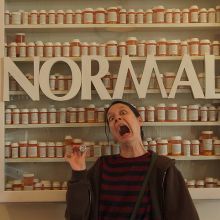 Then you might like to try total protein normalization. Total protein normalization – what is it? Total protein normalization (TPN) is normalizing the signal from your protein of interest to the signal from all the other proteins in the same lane. It is a great way to measure the abundance of your protein without relying on housekeeping genes. One way to visualize all of the proteins on your blot is to use a protein stain. Some, like AdvanStain Ponceau, are transient stains that can be used in less than 10 minutes to quickly check the proteins prior to immunodetection. The pink-red stain is easily washed off and fades quickly, so it can be difficult to capture a good image. Some might say it is a great stain for a quick visual inspection of your blot after transfer. 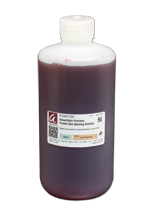 Fluorescent stains are permanent stains that can also be used prior to immunodetection. Most, like AdvanStain Scarlet, are highly sensitive and can be imaged on any fluorescence imaging system. Keep the time in mind though – fluorescent staining procedures can take a bit longer than other stains. Other stains, such as amido black and colloidal gold, need to be used after antibody detection, but require no special equipment for visualization. When is a total protein stain not a stain? When it uses stain-free technology! Stain-free technology uses a trihalo compound that is incorporated into the gel where it binds to proteins during eletrophoresis. When a little UV light is shined on the gel, the compound reacts with tryptophan residues making them fluoresce. Then you just need to take a picture of all the lovely proteins lighting up. As you can see, there are many alternatives to using a housekeeping gene for normalization. Which is your favorite? Photo courtesy of loa bacon.